Dominic Solanke insists he is readying himself to take advantage of any opportunity that lands at his feet at Liverpool. The striker has impressed in a string of cameos since his summer move from Chelsea, but has seen his first-term involvement limited due to the form of the club’s familiar attacking assets. Solanke has managed 10 appearances for the Reds so far, and will feel unlucky not to have featured more often during a mixed start to the season. After being urged by Aston Villa manager Steve Bruce to seek experience with a loan move, Solanke has pointed towards staying at Anfield and preparing for any chance to impress that may come his way. “I think with football, it can go in all different ways and it can change very quickly as we’ve seen with many players. Solanke arrived at Anfield boasting a glowing reputation, entering the next stage of his club career on the back of a winning U20 World Cup campaign, in which the 20-year-old was awarded the Golden Ball as the tournament’s best player. A productive pre-season then swiftly justified Liverpool’s efforts to offer him an escape from Chelsea’s doomed path between youth football and the first team. 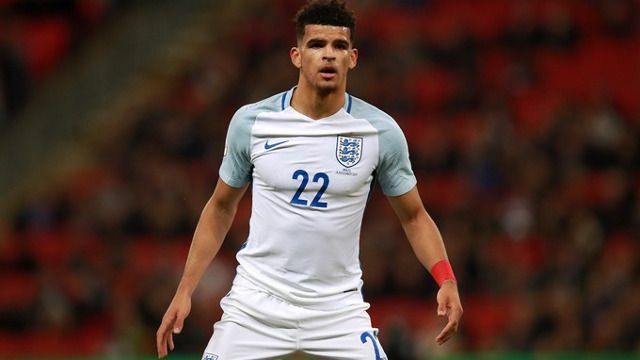 Though his career as a Red has endured a slow and somewhat calculated start, Solanke has made progress on the international stage by earning a senior England debut in the recent friendly against Brazil. His shock call-up followed his promotion to Aidy Boothroyd’s U21s, where he has quickly established himself as a notable focal point. It’s safe to assume Klopp has no intentions of letting Solanke slip from his grasp.